Simplifies the connection window and expands the menu bar to include menus for common tasks (File, Edit, View, and Help). Application preferences are now located on the RDC menu. Improves performance and compatibility with Windows Vista and Windows 7. Connects to multiple computers when you save a connection file for each computer. Use the new File menu to open new, saved, and previously opened connections and to manage all changes to connection files. Accepts changes to application preferences, such as keyboard shortcuts, during a Remote Desktop session. Changes take effect the next time that you connect. Reestablishes a remote session when the network connection is lost. Runs the Remote Desktop session in a resizable window or in full-screen mode. 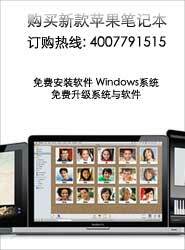 Prints your Windows-based documents to any printer that is connected to the Macintosh computer. Verifies the identity of the Windows-based computer before establishing a Remote Desktop connection. You can select this option when you connect to a computer that is running Windows Vista or Windows 7. Network Level Authentication is more secure than authentication options in earlier versions of Windows. Provides settings for improved resolution on wide-screen displays. Speeds login when you specify "console" as part of the computer name.